ORIGINAL STORY: UK indie-rockers (and adopted Australians) The Wombats have revealed they will be returning down under in November after performing at Splendour In The Grass this weekend, because they pretty much live here now. The band, who have been announced on almost every indie-centric lineup in modern memory — we’re talking Splendour In The Grass, Spilt Milk, Spin Off Festival, Groovin The Moo, Falls Festival, Southbound and Field Day — have today announced a headline show at Melbourne’s Palais Theatre in November, after their Melbourne Splendour sideshow sold out. It’s still unclear if the group will play any other shows or festival sets during their November trip (UPDATE: The Wombats have now been announced on the Grapevine 2018 lineup), but it’s pretty safe to assume they will, given their track record. 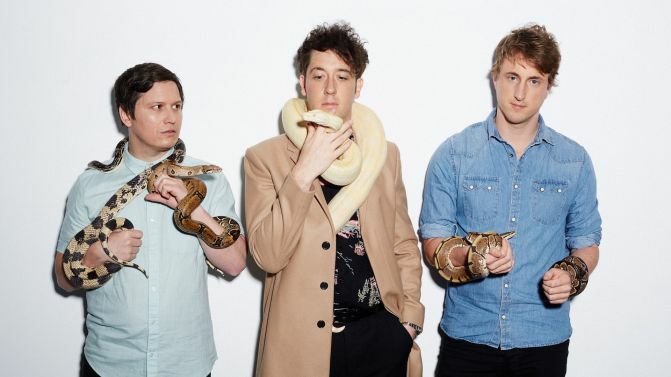 The Wombats were the first act to out themselves on this year’s Splendour In The Grass lineup, and they’re due to perform festival sideshows in Melbourne, Sydney and Wollongong later this month. Catch all the date and ticket details for The Wombats’ November Melbourne show, below. The group are currently touring behind their fourth studio album Beautiful People Will Ruin Your Life, which was released in February.